Scott Gardiner, MD, is Chief Medical Officer for Diversified Professionals, Inc. In this role, he is a key member of DPI’s senior executive team and is primarily responsible for leading the overall clinical vision for the organization and providing medical oversight. Dr. Gardiner’s leadership and expertise ensure the delivery of high quality services and the implementation of innovative clinical programs at every partner facility. 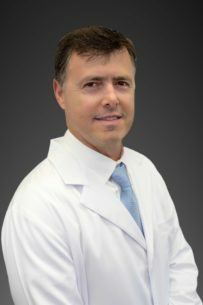 As an anesthesiologist, he is passionate about regional anesthesia and acute, outpatient pain management focused on avoiding the need for narcotics perioperatively through multimodal approaches. Dr. Gardiner earned his Doctor of Medicine (MD) degree from Louisiana State University (LSU) Health Sciences Center – New Orleans and completed his training in Anesthesiology at Ochsner Clinic Foundation in New Orleans, where he was chief resident in his final year. Prior to attending medical school, he earned his Bachelor of Arts in Political Science from LSU. Dr. Gardiner has served as Medical Director at Tulane Lakeside Hospital and has been the Medical Director at Orthopedic Surgery Center (OSC). He is a consultant anesthesiologist with Lane Regional Medical Center and also serves as a mentor to nurse anesthesia students from Our Lady of the Lakes College and Texas Christian University Harris College of Nursing & Health Sciences who are in clinical rotations at OSC. He is responsible for the coordination of all anesthesia-related services at OSC, including serving as a liaison between the surgery center administration and the surgeons.